Addmen Online Exam Software facilitates the creation of various types of online tests. You can set the test interface as per the desired test pattern your institution has standardized. The software can also be easily linked to your institutes's website where the candidates can register themselves. 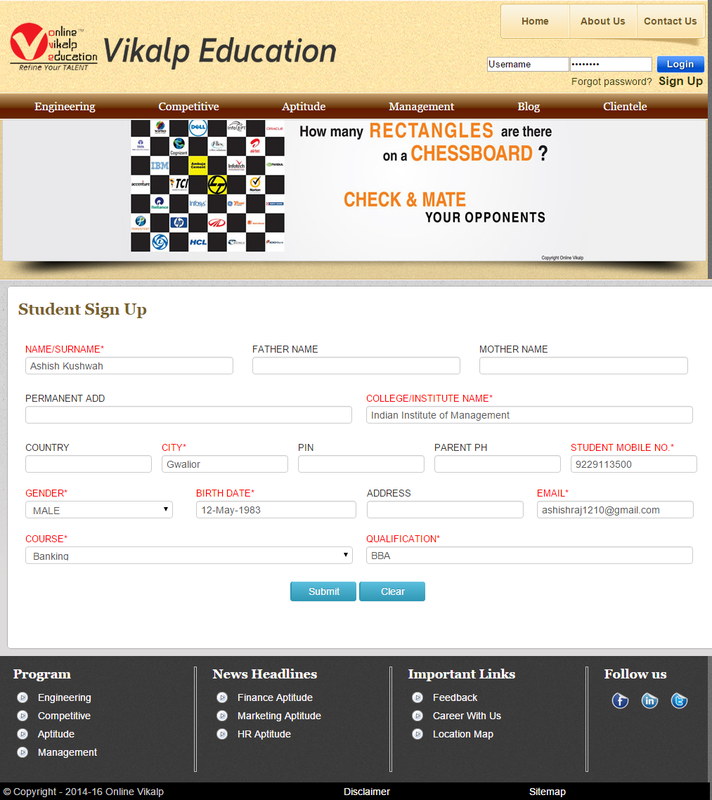 Though the Online Test system also has a backend registration interface, where the institute administrator can register the students to create their unique login accounts, but at the same time to facilitate and to reduce the administration work load an online test registration interface can be provided on the website where the candidate can do his own registration. This interface can also be used for the candidates who have not yet visited the institute or submitted any detailed enquiry form in the institute. Such candidates who have only visited the website of the institute can register using the online test registration form provided on the website. Online registration form is white labelled and appears as a part of your institute website for maintaining your brand identity.. The web based test software interface can be customized to display your institute name and logo. The name of the developers, Addmen, is not displayed anywhere as part of the interface, to facilitate effective branding of your institute. Once you are done your Online Exam Registration in Online Test Exam system on your website and received the username and password, you may provide these credentials to the Online Exam system Login box provided on your website for accessing the Online Test System.